Students interested in a Master of Business Administration degree want to prepare themselves for a variety of management roles in a number of different industries. No matter whether your desire to earn an online MBA degree is tied to the world of healthcare, a marketing leadership role, or an entirely different aspect of the economy, understanding supply chain management is an important and universal consideration. A thorough understanding of supply chain operations is crucial for all individual businesses and industries to function as efficiently as possible. A strong grasp of supply chain management helps students develop a knowledge base on which they can build during their time studying for their MBA degree. Let’s review the basic principles of supply chain management and look at the courses that help learners develop a more nuanced understanding of supply chain technology while attending online classes through UAB. The supply chain is collective term for the many actions, processes, and workflows that bring a given product, supply, or raw material from its origin point to its final destination. In many cases, the raw materials and component parts of a finished product will have gone through the supply chain several times before being assembled and delivered to the end retailer or consumer. Because the supply chain impacts all businesses, government organizations, and individuals, it has a substantial influence on the economy. Supply chain management (SCM) is the process that allows individual companies to source the raw materials and components needed to assemble their end product, then deliver that result to a wholesaler, retailer, or consumer. SCM also involves initial planning to create an effective, sustainable supply chain model, identifying suppliers and developing relationships with them, managing returns, and supporting the process with other business functions. Supply chain technology is both a business practice and the backbone for various specialized roles that exist in all parts of the global economy. Individuals who engage in roles tied to SCM fulfill a vital function that is both universal and highly specific to an individual industry and business location. Just as knowledge of sound principles is critical for SCM leadership roles, so is the need to understand the nuances of each supplier, shipper, and retailer to make the best possible decision for a business based on the current market conditions and operational needs. As with so many other aspects of the modern business world, SCM is supported by dedicated technology that offers various tracking, management, oversight, review, and predictive features. While a deep understanding of such systems most often stems from a dedicated training course and the platform chosen by a specific company, MBA students who have a basic understanding of the need for supply chain technology will be that much more prepared for their first encounters with these tools in the professional world. The online MBA program offered by UAB gives students the opportunity to develop their understanding of SCM and grasp many of the core concepts that facilitate its constant practice across the business world. Because SCM is so tightly integrated into the larger economy, the curriculum of the MBA degree helps students start to see the connections between this specific practice and the many other processes and workflows that can influence it. Operations and Supply Chain Management, a course included in the functional core of UAB’s MBA degree program, gives students an in-depth review of how SCM functions in both service and manufacturing organizations. Learners can expect to cover a variety of topics during the class. They include planning, controlling, directing, and organizing not only the raw materials and finished products that are moved by the supply chain, but also the people, processes, facilities, and support functions needed to ensure reliable supply chain progress. Students also benefit from discussions of global perspectives and issues related to SCM, broadening their perspective. 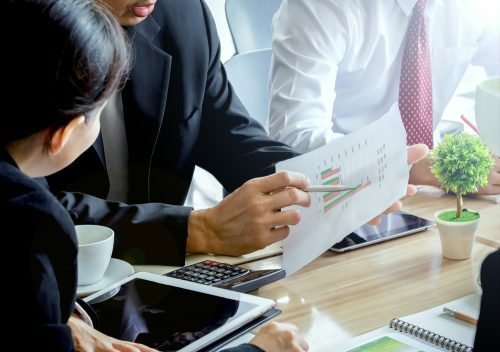 Other courses that can help MBA students understand the impact of other business practices on SCM include Strategic Cost Analysis and Decision Making, Topics in Corporate Finance, and Marketing Strategy. The Strategic Management course, part of the program’s capstone, integrates a number of business topics through the lens of business policy and strategy. While far from the only consideration learners will need to make, SCM is a core skill in nearly every business context. There are also certain elective courses where SCM plays a role. Within the Health Services concentration, for example, the Health Economics online course includes discussions that touch on SCM in the form of how medications, medical technology, and other tools delivered by the supply chain influence patient care. Supply chain management will crop up in places that some students may be surprised to see it. In this context, it’s important to remember the near-universal need for all types of businesses to have strong SCM capabilities. An MBA degree gives students critical background in both general business practices and a number of specific areas, such as SCM. To learn more about the flexible online MBA degree program offered by UAB and the options available to qualified students, including specific concentrations, get in touch with an enrollment advisor today. Oracle: What is a Supply Chain Management System? CSCMP: What is Supply Chain Management?